When I headed out for my 10-mile run yesterday, there was a perfect breeze blowing. By the time I hit the monster hill a few miles into my mapped out route, the breeze had turned into wind. And when I hit the hilly turn around point at five miles, I was running into (what I later found out were 29 mph) serious gusts of wind. The kind of wind that makes you look at your watch to make sure you are indeed still moving. Love: When an uphill is followed by a downhill. Don't Love: That not all uphills are followed by a downhill. Love: That hills make me a stronger runner. Don't Love: That I feel so ridiculously weak while being made stronger. Love: A tailwind that pushes me forward. Don't Love: A tailwind that makes my hair blow into my face. My hair touching my face is one of the most annoying things to me. I would rather run through the pain of chafing or blisters than have my hair blowing into and touching my face. Love: Being cooled by the wind when I have to stop for a red light. Don't Love: The gravel and dust that gathers at the street corner being blown into my face and sticking to my sweat when I stop for a red light. Love: How flat my stomach looks after a very hilly and windy effort. Don't Love: How thirsty the hilly and windy run makes me and how quickly my stomach stops looking flat because of all the liquid I ingest. Love: How I feel when I reach the top of a hill. Don't Love: How long it seems to take to get there. Love: Seeing my pace dip into the 8:00s when I'm eight miles into a long run. Don't Love: Seeing my pace climb into the 10:00s when I'm only a few miles into a long run. 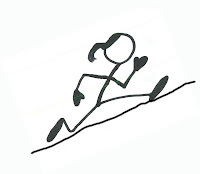 Love: Knowing I can run a hilly race if I have to, although I would take wind over hills. 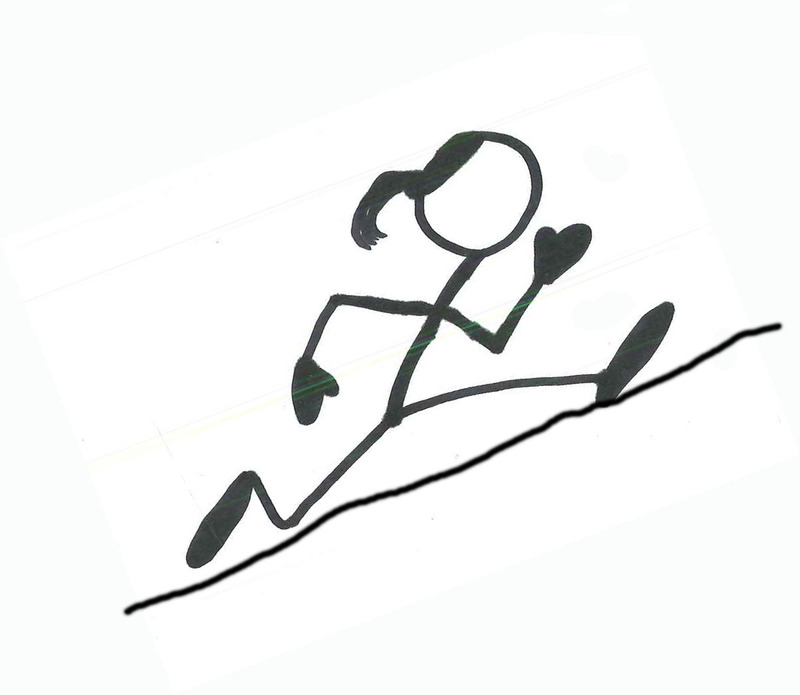 Don't Love: Knowing that a race is going to be hilly. And those, my friends, are just a few of the thoughts that filled my head during my run yesterday. Happy Friday and have a great weekend! Great post. It basically sums up my feelings about hills. In my perfect world all up-hills would be teamed with a healthy tailwind. I will always take wind over hills. Boo wind! I hate knowing that I have to train for a hilly race... then I have to suffer over those hills for weeks at a time, instead of just once. we just have the wind here, no hills. and i signed up for a super hilly race in kansas city. should be interesting. i am so totally with you on the flat stomach after a hard effort workout.... and then i inhale some gatorade and it goes away. We can be BFF coz I hate hills too!!! You summed up hills and wind perfectly. But I would take hills over wind any day. Hate wind. Hate it.